Purewater Storage can provide a fantastic selection of GRP one-piece water storage tanks. These innovative cold water storage tanks are manufactured from state-of-the-art GRP materials. Low maintenance, long-lasting and highly cost-effective, these tanks are a perfect option for a wide range of cold water storage applications. Option of Uninsulated or Fully encapsulated insulation to sides and lid. A close-fitting and sealed lid which can be removed for maintenance. CFC free PU foam insulation, which is completely encapsulated within the GRP laminate. Our superior GRP one-piece tanks are hugely flexible and are suitable for both Potable & Non Potable water storage. 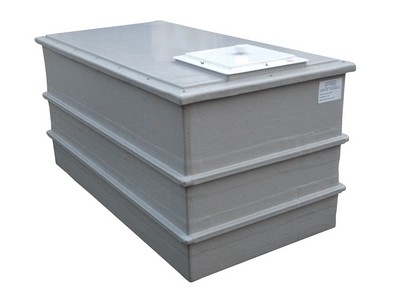 These tanks can are suitable for applications storing water up to a maximum temperature of 29°C. Note: WRAS approved tanks go up to a max of 23°C for potable water. Here at Purewater Storage we supply products of only the highest possible standard, ensuring that our customers are provided with products that are both highly reliable and durable. Our GRP one-piece water storage tanks are specifically designed and tested to ensure that they meet the stringent requirements set by BS EN 13280:2001. What's more, they also have full WRAS approval - Cert No 1310060 giving you complete peace of mind. Typically, uninsulated water tanks are used for the purposes of storing process water or for general applications where potable water is not being stored. Alternatively, insulated water tanks are manufactured to comply with the current water regulations and are WRAS approved to ensure suitability for the portable storage of water. 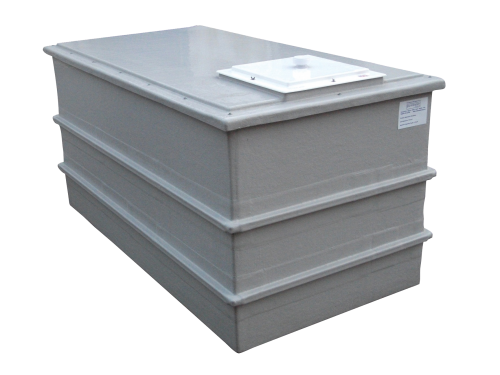 The lids of our GRP one-piece tanks are fully removable for upkeep and maintenance purposes, making them a cost-effective alternative to others on the market today. Tanks storing 1000 litres or more are also fitted with an access manway to allow inspection of the tank without the need to remove the full lid. We are committed to ensuring we provide excellent customer service and pride ourselves on quick turnaround for the dispatch of our products. To find out more about our GRP one-piece tank options, or any of the other products listed on our website, please don't hesitate to get in touch with our friendly team here at Purewater Storage by giving us a call on 0121 323 4000 today.